Home > Life	> Arcade Fire and U2 On One Ticket? I’m There. Arcade Fire and U2 On One Ticket? I’m There. No Line on the Horizon - MY photo! Cross the experienced, masterly and dynamic band members of U2 with the vibrant, artistic energy of Arcade Fire and what kind of uber group would result? Surely one that would fly off into the stratosphere unheeded, the earth couldn’t contain such talent. These are the useful reveries that fill my mind as I clean the lint out of the dryer. That, coupled with: who’s my favorite group of all time? Quick! Pick one: Arcade Fire or U2? In an incredible twist of fate that rarely graces my life, these bands that rival for my mind’s vote are playing on the same ticket this summer in my favorite part of Canada, the Maritimes. Is it naive to think Bono and Win Butler are conspiring to send me a message to get my behind back to the provinces where Tim Horton’s rules supreme, by the bye? I knew 2011 would be a great year. All of my ex-boyfriends were U2 fans, their single common denominator, which is another way of saying this musical dynasty appeals to a wide array of people. I love their music, their story (together since they were sixteen), and their Irish accents. Not in that order. And Arcade Fire is a youthful version of U2: destined for all the greatness they deserve. With The Suburbs (2010) nominated for five Juno’s today, and a scheduled performance on the Grammy’s this month, they are no longer Montreal’s best kept secret. Growing up, the closest I got to U2 was the same as most low-life teenagers with no connections and even less money – through cassette tapes, often made by my friends. I was continually rewinding those ribbons back into place that my cheap music player insisted in eating for dinner. But even my poor quality machine couldn’t mask the endearing quality of music that blasted through my room every night, to the consternation of my parents. The Unforgettable Fire (1984) was my first taste of legitimate U2 ownership, although cooler kids were already well versed with the band from Boy (1980), October (1981), and War (1983). But my love affair was at that point young, a fire yet to be stoked. It has grown solidly over the years, each release cementing their immortal status in my admittedly weak musical mind (my collection includes The Backstreet Boys and Enrique Iglesias, perhaps more due to their smoldering looks than amazing sound). My infatuation with U2 barely skipped a beat with the wayward Pop (1997) and then Zooropa (1993) – I understood the band’s desire for experimentation, and forgave them for straying from their distinctive sound, unlike many fans. Our relationship went to the next level with my first U2 concert, during the How to Dismantle an Atomic Bomb tour, in 2004. I couldn’t constrain myself, “like a teenager at a Beatles concert” was how my friend described my antics. Shockingly, we’re still friends, although we didn’t go to their next concert together. A shame, since I was cool as a cat during their No Line on the Horizon tour in 2009. Really, I’ve come a long way: I didn’t break anyone’s foot by jumping on it, nor did I pee my pants. 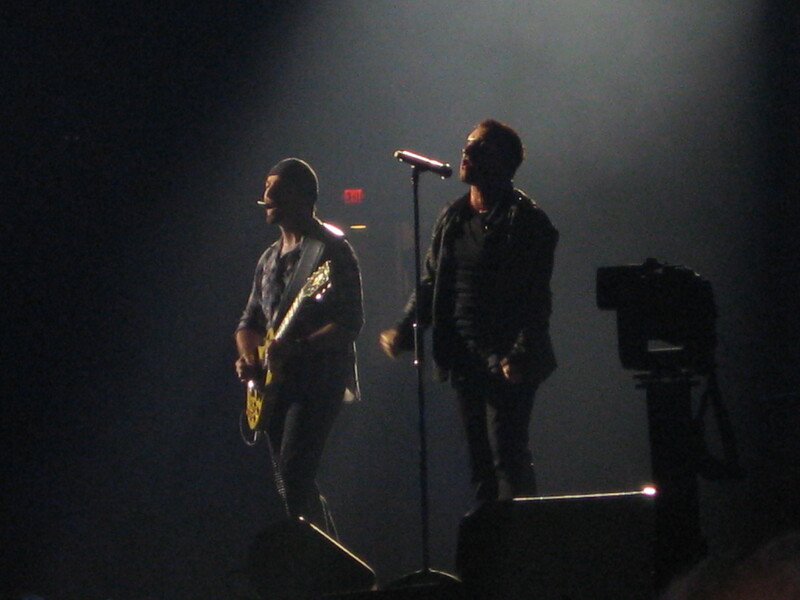 I'm pretty sure Bono was looking right at me, don't you think? 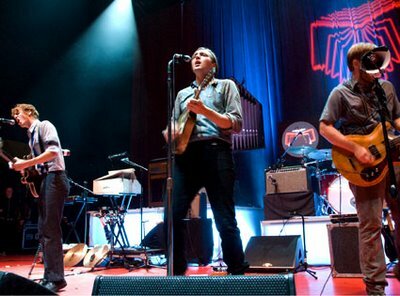 As usual late to the party, I only started listening to Arcade Fire in the last year, but was eating up Funeral (2004) and Neon Bible (2007) when along came The Suburbs (2010). I’m not sure how it is an Indie band from Montreal can know and sum up all that is wrong about the world in one offering, but somehow Arcade Fire accomplishes this with their most recent album. I went to The Suburbs concert in Vancouver, and not even my nosebleed seats in the Coliseum could dampen the electricity in the air, as multi-talented band members bounced from guitar to piano to drums, as though they were changing their sweaters rather than instruments. Their energy combined with sheer talent (band members are involved with other musical projects, including composing an orchestra using each musician’s heartbeat for their tempo, incredibly) was mesmerizing; we the audience hung on every chord, knowing we were witnesses to a unique and rare talent. I will need to summon every ounce of restraint possible if I am to endure this unprecedented coupling in Moncton on July 30. Restraint, dancing shoes and Depends. Hi Dee…So we are seeing you this summer! You’ve inspired me to check out Arcade Fire. I think that they have now come out with designer Depends to make them more palatable for the growing number of seniors that need them for just this type of situation (whoops..you are not quite in that category yet, senior that is). You will have to check them out! I’m on the new and improved Depends – everyone is making a buck off of us baby boomers! I will bring a sign that says “Tori wants you to visit Tennessee, FOOL!” You owe me one. U2 is Jim’s second-favourite band (after Queen)…we will definitely go to Moncton for the concert! We were up there a couple of years ago for the Eagles and John Fogerty…it was a little wet, but very well-organized! Luckily, we have friends to stay with…hotel rooms are going for more than $300/night, and the minimum stay is two nights! You should come…it would probably be a once-in-a-lifetime opportunity! 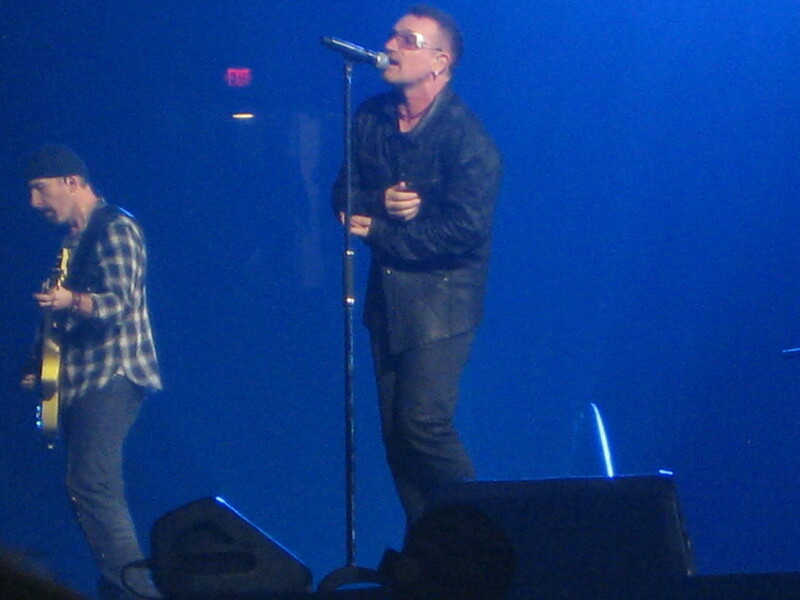 I desperately want to – it’s about time U2 hit the Maritimes! Love that last sentence–too funny! I also love U2! Great post, Deanna! There is something slightly magical about them…but maybe that’s the wine talking!